The convention released a statement saying, “Two attendees tonight exhibited deplorable behavior. Their conduct was inexcusable and unacceptable. This kind of behavior will not be tolerated." 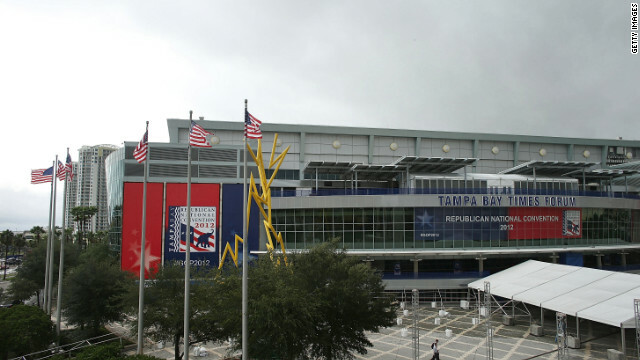 The convention began its first full session on Tuesday after being delayed a day by what was then Tropical Storm Isaac. It continues through Thursday when Mitt Romney is expected to accept the party’s nomination as its presidential candidate. Unbridled racism!! Deplorable behavior!! So sad that racism is so rampant, but kept close to the vest in order to blend in and save face of the perperator. Lived in South my entire life, and I am white. All other races are discriminated against, not just blacks. The GOP show their true colors. This election isn't about policies for the GOP, it is about removing the Black Man from the WHITEY House. I guess those two did not have names.